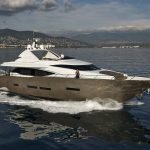 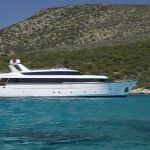 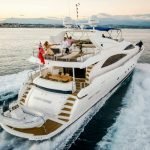 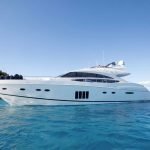 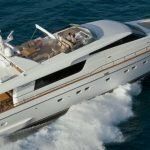 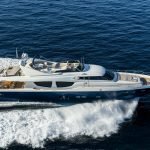 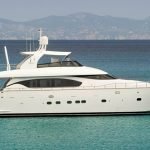 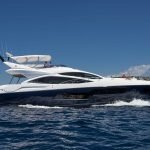 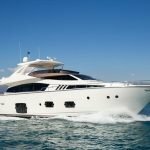 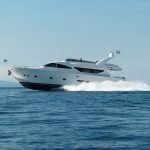 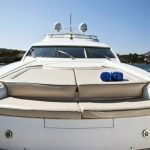 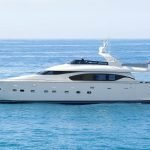 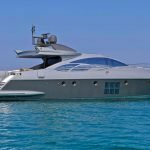 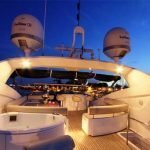 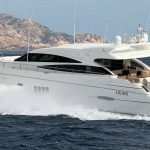 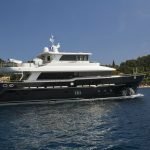 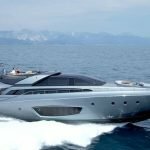 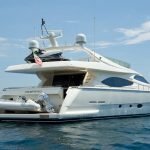 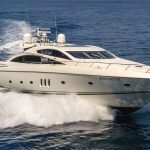 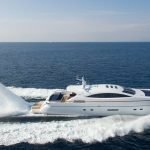 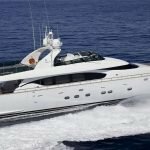 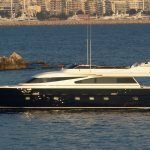 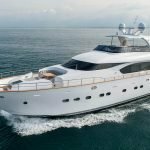 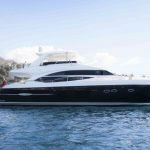 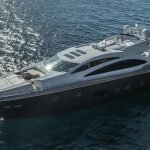 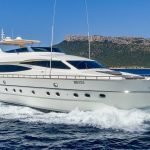 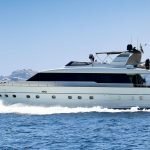 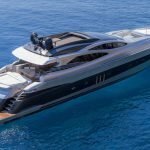 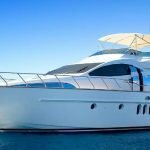 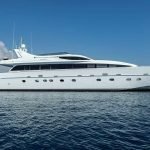 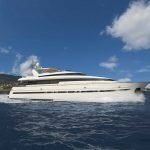 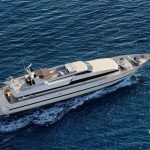 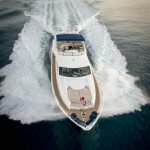 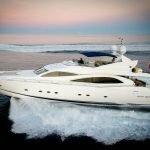 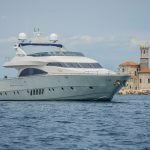 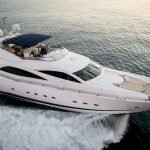 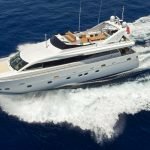 The luxury Sunseeker yacht WINNING STREAK was built in 2002 and refitted in 2013 with a new teak deck, a new carpeting in the salon and cabins and stabilizers. 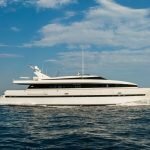 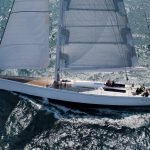 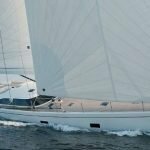 Fast and modern she is ideal for families or groups of friends charter. 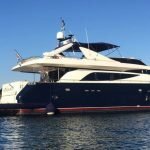 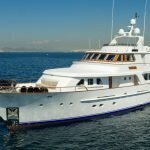 Motor yacht WINNING STREAK has a stylish interior, a lounge aft with 2 large sofas and a large flat screen TV, a wide glass doors opening into the shaded aft deck where guests can dine alfresco. 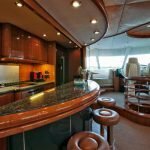 A formal dining table is close to the wet bar. 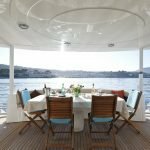 Further forward there is an alternative dining table, suitable for breakfast and hors d’oeuvres. 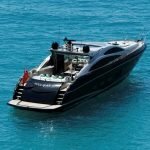 The aft deck leads to a large swim platform ideal for enjoying the water toys and easy access to the tender. 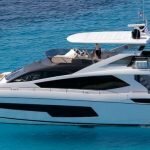 A spacious flybridge is perfect for entertaining, with 3 helm seats forward, sunpads, a wet bar with seating, an alfresco dining option, lounge space, Jacuzzi tub, chaise lounges and ample open deck areas, and a removable Bimini cover. 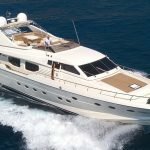 She can accommodate up to 8 guests in 4 spacious cabins. 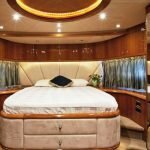 The master stateroom is amidships with a Queen size bed and marble en-suite facilities with bath and 2 sinks. 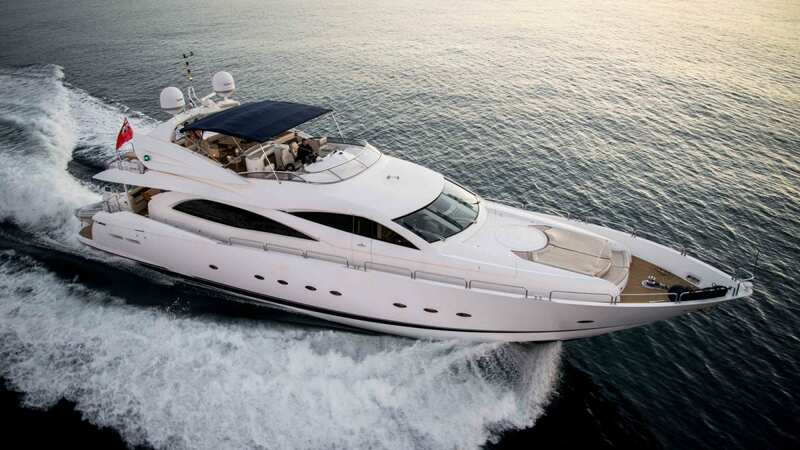 A VIP cabin is forward with a double bed and en-suite facilities. 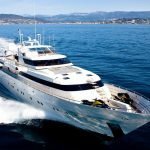 A further 2 cabins offer single beds, one with bunk bed style the other side by side twins, both cabins have en-suite facilities. 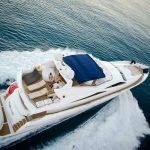 WINNING STREAK has the following amenities: a Notika tender (8 pax) Yamaha 60hp, wakeboard and snorkeling gear.